To make your reservations, please contact the hotel directly and identify yourself as an attendee to the 13th International Conference on Software Quality when making your reservation. RATES: $129.00 single/double plus 13% sales tax per room, per night (subject to change); reservations must be guaranteed with a credit card, cash, or check for the first night’s stay. NOTE: No additional fees or service charges are to be added to the above rate. In the event that you are charged for additional fees/service charges (other than early check out charges), please contact an ASQ staff member on-site prior to hotel check out to assist you. RESERVATIONS MUST BE MADE BY Friday, September 19, 2003, to qualify for this block room rate. CANCELLATION: reservations must be cancelled 48 hours prior to the day of arrival in order to avoid a cancellation fee of one night's room charge. if reservations are made before Wednesday, September 3, 2003 whichever occurs first. 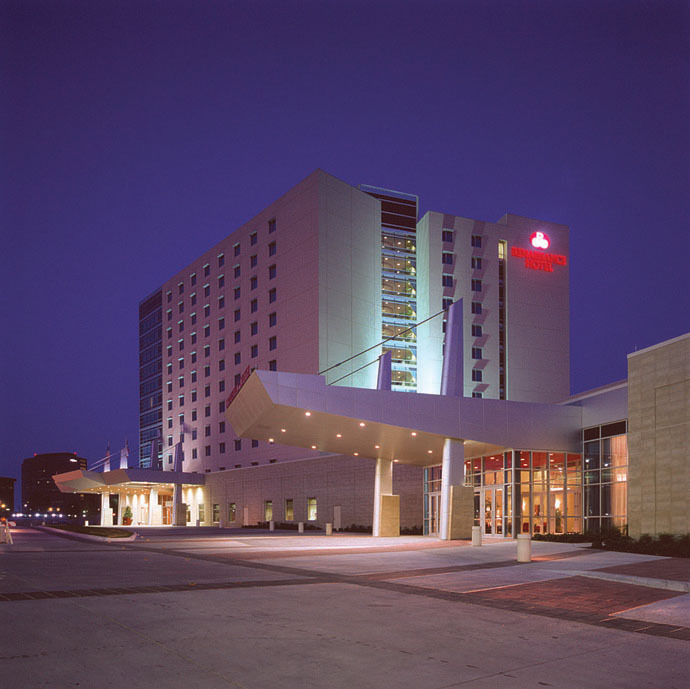 The Renaissance Richardson Hotel offers deluxe accommodations and superior facilities in the heart of the telecom district. Cingular and Nortel Networks are adjacent to the hotel and the offices of Advance PCS, Alcatel, Perot Systems Corportion and SBC are one mile away. The new Charles W Eisemann Center for the Performing Arts is across the street. A Dallas Area Rapid Transit stop is only fifty feet away offering service throughout the Dallas-Fort Worth area. The full-service Renaissance Richardson Hotel features a twelve story garden atrium complete with fountains and waterfalls. Each guest room is beautifullly decorated and offers the latest amenities for the business traveler. An exercise room, indoor swimming pool, two restaurants and over thirty thousand square feet of flexible meeting space combine to make the Renaissance Richardson Hotel an ideal location for travelers to the Dallas metroplex. American Airlines, American Eagle, and American Connection Service are offering special rates which allow a 5% discount on their published round-trip fares to the 13th International Conference on Software Quality Conference from the United States, Bermuda, and Canada. By purchasing your ticket at least 60 days in advance, you can receive an additional 10% discount on published fares. Special guaranteed zone fares that do not require a Saturday night stay are also available. Two-night minimum stay and seven-day advance purchase required. Valid dates of travel are October 1-14, 2003. To take advantage of these discounts and obtain reservations please call: OLSON TRAVEL SERVICE at 800-847-5921 or 262-784-1060 from 9:00 a.m. - 6:30 p.m. Eastern time, Monday through Friday. Ask for Dawn Anderson or Nancy Jebavy and identify yourself as a 13th International Conference on Software Quality attendee. You may also call American Airlines directly at 800-433-1790 6:00 a.m. to 1:00 a.m. Eastern time. Refer to Star File number AN-65H3AK. Avis is offering discounts on automobile rentals for conference attendees. To make your reservations, please call Olson Travel Service at 800-847-5921 or 262-784-1060; or Avis reservations at 800-331-1600 and refer to: ID number D150060. 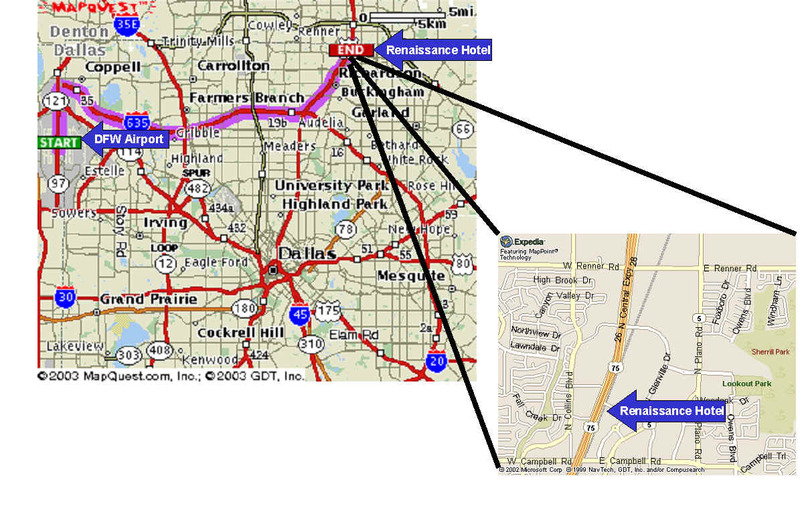 The Dallas/Fort Worth (DFW) airport is approximately 25 miles from the conference hotel. Taxi Cab cost approximately $60 one-way and shuttle transportation is approximately $18 per person one way. Various shuttle services go to the hotel and you may get a shuttle outside the baggage claim area. Prices are subject to change. Do you have special needs or dietary restrictions that we can address to make your experience more enjoyable? Please call, write, or fax ASQ’s Education Services Department at P.O. Box 3005, Milwaukee, WI 53201-3005, phone 800-248-1946 or 414-272-8575, fax 414-272-1734 or e-mail mbunch@asq.org. Your satisfaction is our goal. If you are not completely satisfied with the content of the 13th International Conference on Software Quality, we will gladly apply your conference fees to the 14th International Conference on Software Quality. Requests must be received by October 31, 2003. Your feedback is valuable and essential to the continuous improvement of ASQ’s programs. If you have questions or concerns, please call ASQ at 800-248-1946 or 414-272-8575 and ask for the Education Services Department. Send a substitute. Substitutions can be made at any time—even on site at the conference. If you cannot send a substitute, we will be happy to transfer your conference fees to the 14th International Conference on Software Quality in Orlando, FL, October 2004. * Note: Requests for cancellations and conference fee transfers received on or before September 19, 2003, will receive a full refund/transfer. Requests received between September 19 and October 6, 2003, will incur a $100 processing fee. No requests will be accepted after October 6, 2003. To arrange for any changes, simply call ASQ at 800-248-1946 or 414-272-8575, or mail/fax your request to ASQ, Education Services Department, P.O. Box 3005, Milwaukee, WI 53201-3005, fax 414-272-1734. ASQ reserves the right to cancel or reschedule any course/tutorial and to change instructors. Please be advised that neither ASQ nor the Software Division are responsible for any airfare penalties or other travel charges you may incur. Attendees receive 0.1 RU (recertification unit) credits per hour of attendance. Attendee's registration acknowledgment or name badge and the on-site brochure provide adequate documentation for ASQ recertification.